Create awareness, capture mindshare, generate leads and tell your brand’s story. 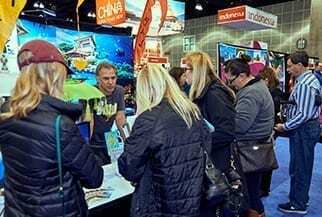 The Travel & Adventure Show’s proven multi-media marketing strategy is designed to attract serious travelers who are already in the planning stage of the travel purchase process. They want to be inspired, educated and above all, find a personalized vacation option that’s right for them. 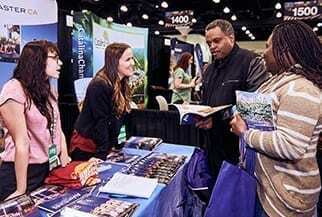 They attend to make travel decisions – and they attend to meet YOU. 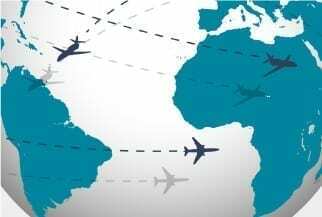 The Travel & Adventure Shows are strategically positioned in 10 of the country’s top gateway markets that offer easy access to airlift and contain large populations with above average disposable incomes. You can be confident that by exhibiting, you’ll be meeting consumers who have transportation options that allow them to reach both international and domestic destinations with ease. Our proven multi-media marketing strategy has been developed to attract serious travelers in each market. These attendees take multiple trips per year, spend over $5,000 on each trip and best of all, they’re paying to come to the show to meet you. 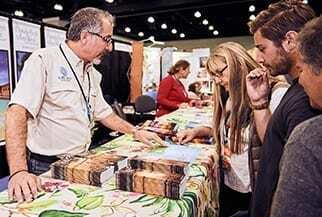 At the Travel & Adventure Shows, we do the prospecting for you, so you can concentrate on your sales. By exhibiting at the Travel & Adventure Shows, you can count on placing your destination among some of the best in the world. 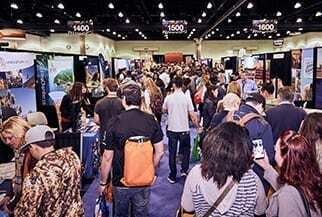 In fact, two thirds of TAS attendees trust an exhibitor more just because they are part of the show! 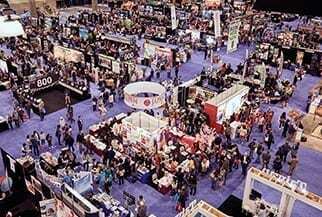 Your booth will be located in an aisle that is consistent with the region of the world that you’re representing, allowing attendees walking up and down each aisle to find you easily – even if you aren’t on their short list. The Travel & Adventure Show Series offers professionally managed events that are the sole focus of the Series’ producers, Unicomm, LLC. From a beautifully decorated show floor to a strategic layout aimed at moving consumers through each and every aisle, you can count on an on-site environment that facilitates quality conversations, builds trust in your brand and leads to travel bookings.